Early Volkswagen buses are kind of a big deal. The older they get, the more rare and valuable they become—a group of fanatics even airlifted a rusted-out 1954 model from a forest one time—and this redesign concept of the T1 pays good homage to the original. The T1 Revival concept images in this post aren’t official at all, but they are fun to look at. The renderings come from designer David Obendorfer, who’s put together other great throwback concepts like the Fiat 600 and BMW 2000CS. David designed the concept on the current VW Transporter T6 platform with references to the original model, and this design comes after VW unveiled its new electric microbus called the BUDD-e at the Consumer Electronics Show. 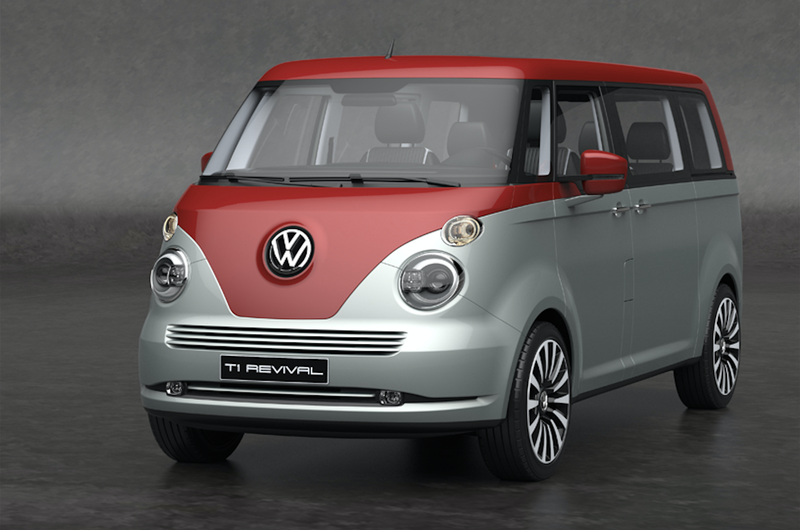 The design David dreamt up certainly looks more old school than VW’s new version, and that’s a good thing. VW probably could have gotten some kudos from the general public by going retro in the midst of Dieselgate, but we’ll all just have to settle for renderings for now. Below are the rest of David’s designs as well as a video of the whole thing, and his website is here if you’re interested in seeing more.